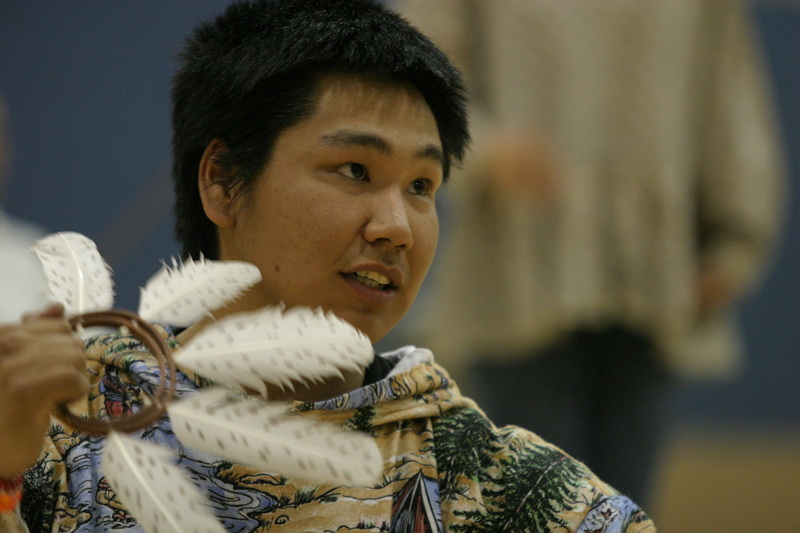 The difference between the Inupiaq ( sometimes called the Inuit),and the Yup'ik/Cup'ik is similar in difference between French and Spanish.The Yup'ik language is the most widely spoken by the Alaskan natives. A map showing the geographical areas of the Yup'ik and Cup'ik Eskimo people. 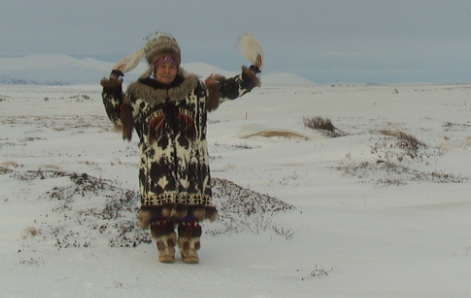 A Yup'ik dancer performing in Togiak spring festival. Some schools can draw on great expertise from the local villagers. Many of these teachers/ teacher aides have been brought up within the village and are wonderful resources for background information on students as well as being extremely skillful in the classrooms. 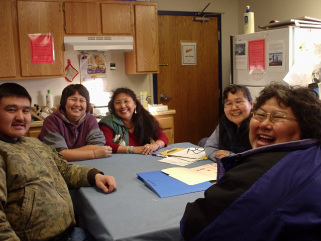 Yup'ik teacher Aides from SW Alaska. 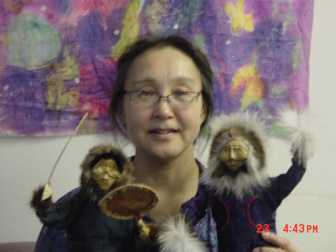 The Cup'ik Eskimo are famous for doll making and basket weaving. 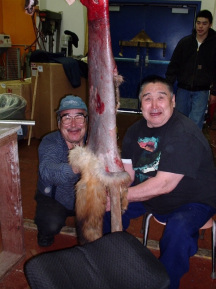 Yup'ik elders demonstrate skinning a fox for students. English and Cup’ik bilingual education is available at Chevak school. There is a tri-language system in Chevak; English, Cup’ik, and a mixture of the two languages.